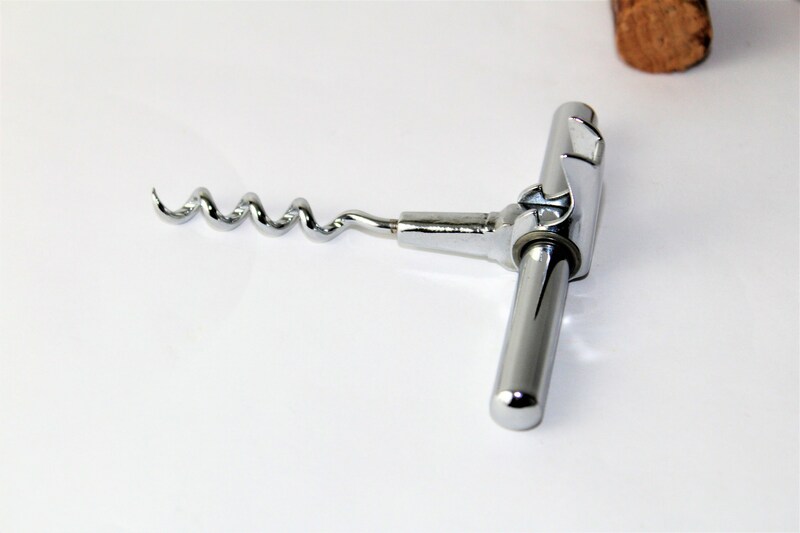 We have for sale a Vintage English Picnic Style Corkscrew. 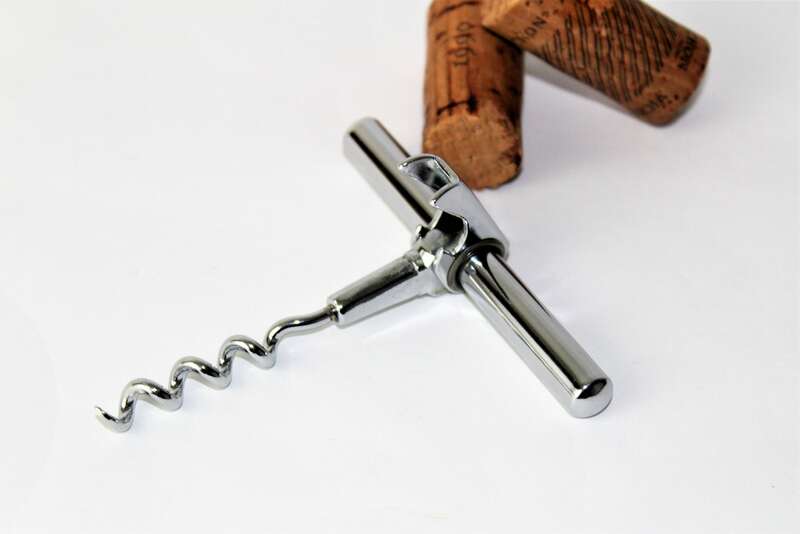 Wonderful travel size corkscrew. 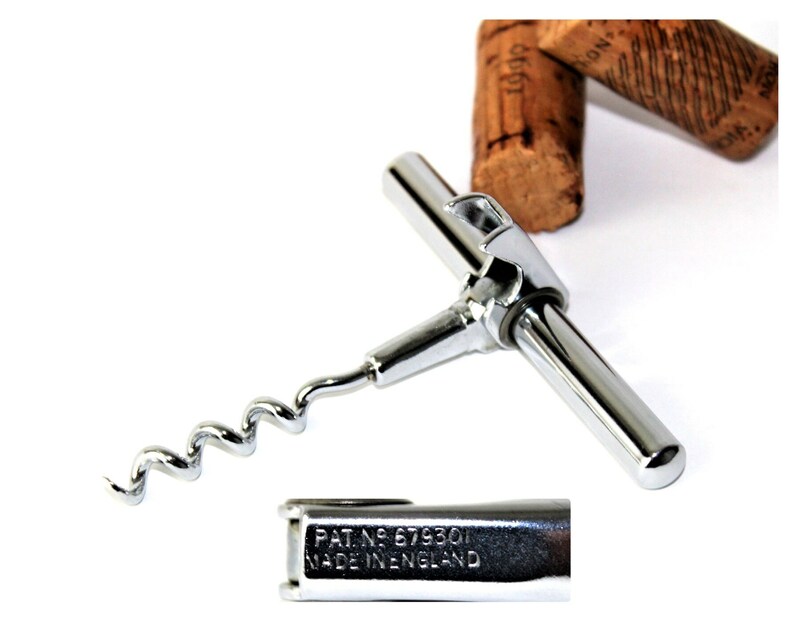 Known as a Picnic Style Corkscrew this one is made in England most commonly be found in a picnic set. 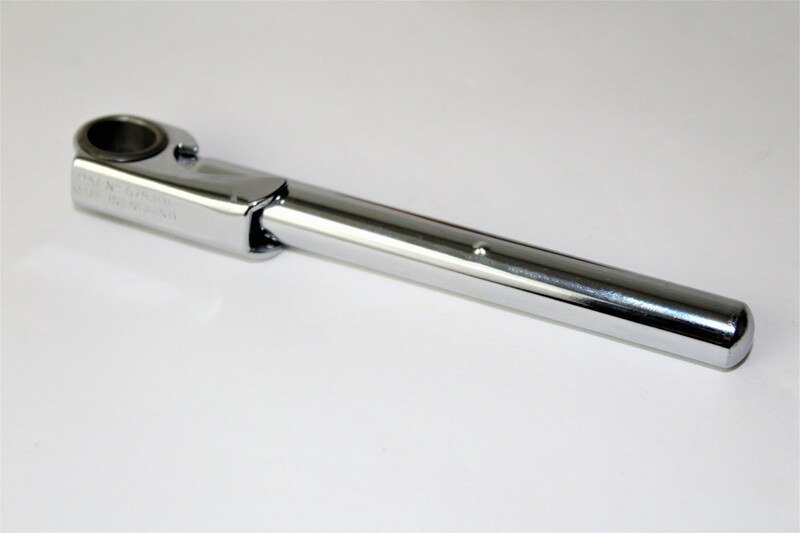 Has a very nice chrome finish over brass and steel. The fold out bottle opener is an added plus. 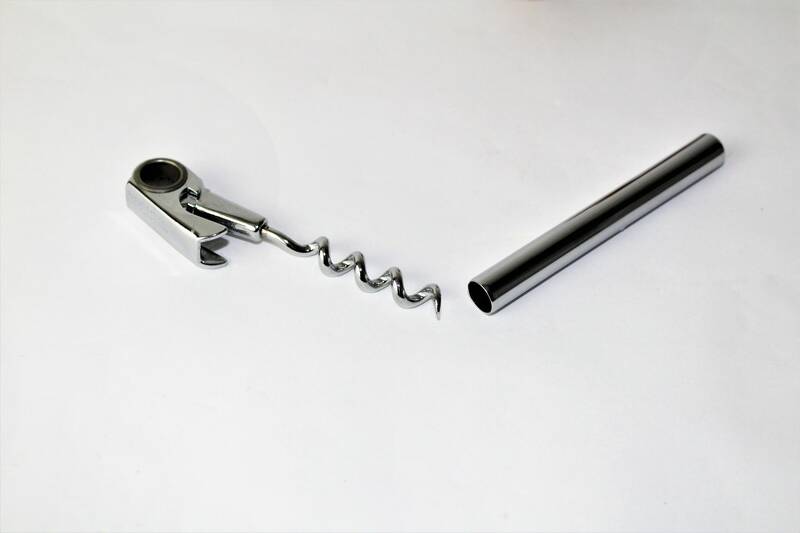 Just pull the sheath off and insert into the center hole instant corkscrew, very easy to use.